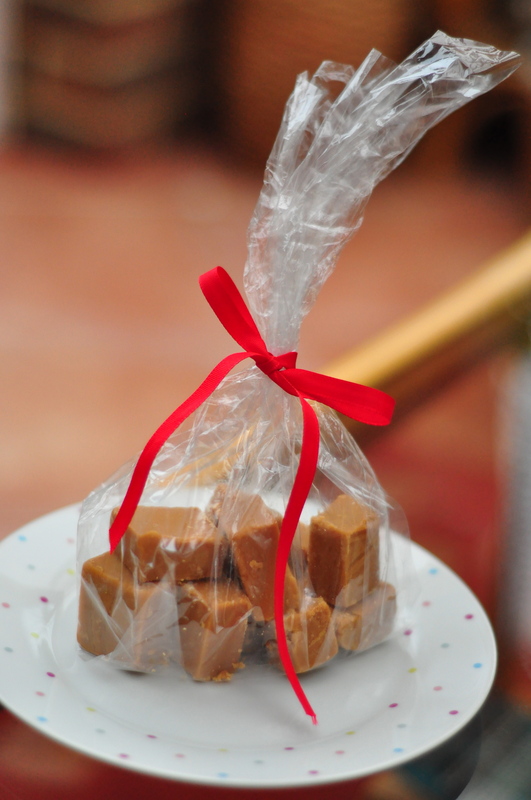 Fudge – one of the most gloriously decadent treats that rarely passes my lips and thus the perfect Christmas treat. Furthermore it looks great cut into simple chunks and wrapped in celophane. And there is nothing I like more than something that looks extravagant with little precision or delicacy. So it was decided fudge would make the perfect addition to a few peoples present stash this year. As we creep ever closer to Christmas ( only 1 week to go!) the last place anyone wants to be is at the shops. I went yesterday so I can tell you. It’s exhausting, you loose focus and come home with less than you thought you would, having spent more than you planned. With this in mind I am now working on my last minute food gifts, the sort of thing you can whip up in minimal time and wrap in a nice box or some cellophane to mean visiting the shops is no longer essential. Alternatively everything I make will be great to just keep around the house to serve to those unexpected guests that drop in over the festive season. Sounds perfect brilliant doesn’t it! Well quit your yapping and let’s get on with it. Well if my last post wasn’t autumnal enough for you be prepared to be bombard with food warmth that can only mean shorter days, rainy evenings and heart warming food. Despite this week being ridiculously busy – I have been working on an extra special From Scratch Project for Christmas( details coming soon), I made sure I spent sometime making a warming treat to bring a bit of extra loving to my busy days. A few weeks ago I had a slice of pumpkin pie. Since then have been obsessing over root vegetables of all kinds. Now I know I wrote a blog a few months ago about not comfort eating, but this week I have been feeling ill ( who gets colds in the summer! I mean come on!) and I wanted a treat. So… I decided it was ok to bend the rules, in addition these aren’t 100% From Scratch but as I say I am ill so…. it doesn’t count. Also I always feel so much hungrier when I have a cold so snacks are essential. All week I have been planing to do a post today on a delicious healthy sorbet and cooling ice lollies, writing about how they would be perfect for a sunny weekend. So when I woke up this morning to hear the all too familiar sound of cars rushing through puddles outside and the pitter patter of tiny raindrops on the roof, my heart sunk a little. When is summer going to arrive?! Let’s face it, everyone could do with the emotions summer brings. It seems when the sun shines we can all be that little bit happier, we take life a little bit slower, we are more sociable, we live more easily and we relax. Summer and all the images of it ( true or not) seems to be associated with fun times, easy living and the good life. So what do we do if the rain doesn’t stop? So I know I promised you a hen do blog, but with the wedding on Friday I just ran out of time. Now the wedding has been and gone it seems silly to talk about the hen do when I can write about the actual event. If this was just a blog about the wedding I would only need one word….IMMENSE! And what is a wedding without the cake. So instead of filling you in on the dresses, speeches and dancing I will update you on part two of wedding cake making . After a recent trip to Amsterdam, where I decided that the international cuisine must be pancakes, coupled with the fact that next week it is pancake day I have been getting very excited about those thin discs of heaven. After my recent dairy failures it was with great trepidation I attempted yoghurt. Yogurt is apparently ‘really easy’ so if I couldn’t get this right then I think my career in attempting to make dairy From Scratch would be well and truly over. But determined/stupid as ever I was convinced I could at least get this one right. I have been getting cabin fever lately, spending way too much time inside. So last Wednesday I decided enough was enough, I was going to get out. I decided a trip to the V&A for some inspiration for my projects would be a good plan. 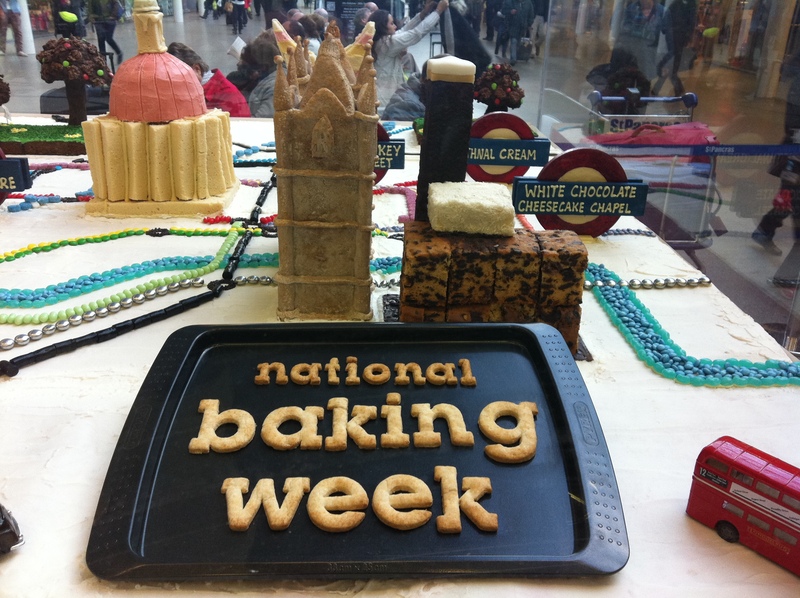 However on my journey to the museum I saw this fantastic display for National Baking Week…. Throughout the whole experience so far, from bread to chocolate, jam to pasta, there has been one glaring omission from my From Scratch story. Those of you who know me can probably guess, and for those of you who don’t you can also probably guess! 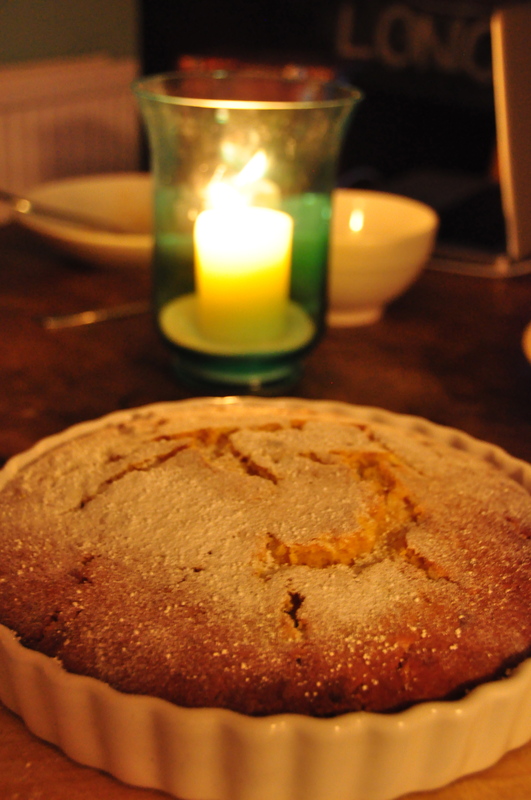 What else could it be but the master of all food loveliness – CAKE! When it comes to cake I am like a sugar starved child with a constant image of what could be if only I had a slice of mouth watering chocolate, lemon, carrot, banana (you name it, I love it … except coffee, but nobody likes coffee) cake.